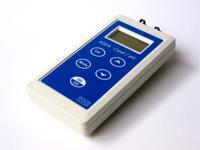 Handheld DO-temperature meter with dual LC-display. Measuring ranges: 0 - 250% sat., -10 – +120°C; uses YSI-5739 probe. 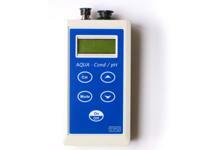 Waterproof handheld DO-temperature meter with 2x16 character LC-display. Measuring ranges: 0 – 240% sat., -10 – +120°C. 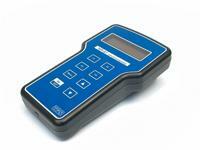 Data logging up to 2400 records with date and time stamp (GLP). 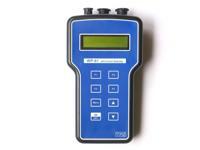 Upload of data to a PC via RS-232 interface (optional).